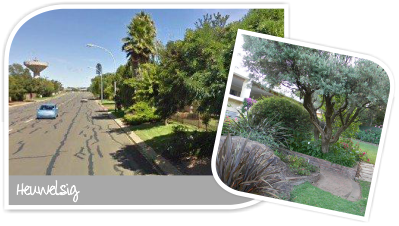 Heuwelsig is an exclusive and established residential suburb in the northern part of Bloemfontein. It is a sought- after area for discerned families and professional people alike. It offers beautiful, spacious homes with some of the most scenic views of Bloemfontein. Heuwelsig is less than 5km from the National Botanical Gardens, which has more than 20 species of indigenous and medicinal plants which are also for sale to the public. It lies adjacent to the Groenvlei and Lilyvale areas. 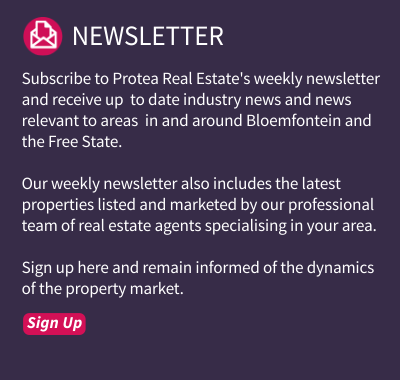 Many excellent schools such as Willem Postma Primary School, Brandwag Primary School, Saint Michael’s School and Sentraal High School are located within a 3km radius from this prestigious neighbourhood. Even Grey College, Eunice High School, Brebner High School and Primary School, St Andrew’s School and Oranje Meisieskool are all located within 7km from Heuwelsig. This suburb is also conveniently close to some of the best medical facilities in Bloemfontein, namely Mediclinic Hospital, City Med Clinic, 3 Military Hospital, Med Chem Diabetic Clinic and the Hillandale Health Care Centre. The ever popular Preller Square Centre (accommodating Woolworths Foods and Crazy Daisy delicatessen), Preller Walk and Mimosa Mall are the shopping centres closest to Heuwelsig with retail brands such as Spar, Pick ’n Pay, Checkers and Woolworths just around the corner. Movie theatres and a Virgin Active Gymnasium at the North Ridge Mall are additional attractions close to this beautiful suburb. 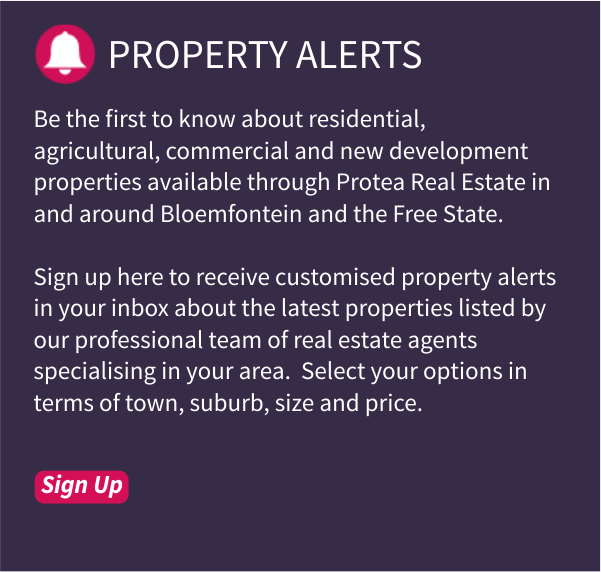 In terms of properties, it roughly consists of 47% houses and 53% sectional title properties like townhouses, flats and duets. This suburb definitely passes the ‘location, location, location’ test!